Lamborghini CEO Stephan Winkelmann predicts that the supercar maker's newest model will start breaking records in 2015. "Next year the Huracan will exceed the Gallardo's best sales year of 1,844," Winkelmann told me in an interview at the Geneva auto show. The Gallardo, the most successful Lamborghini model of all time, had its best sales year in 2008. That sales total is also the highest ever for any Lamborghini model in a single year. The Volkswagen Group subsidiary sold 14,022 units of the Gallardo worldwide during the supercar's 10-year sales run. Lamborghini ended Gallardo production on Nov. 25, 2013. 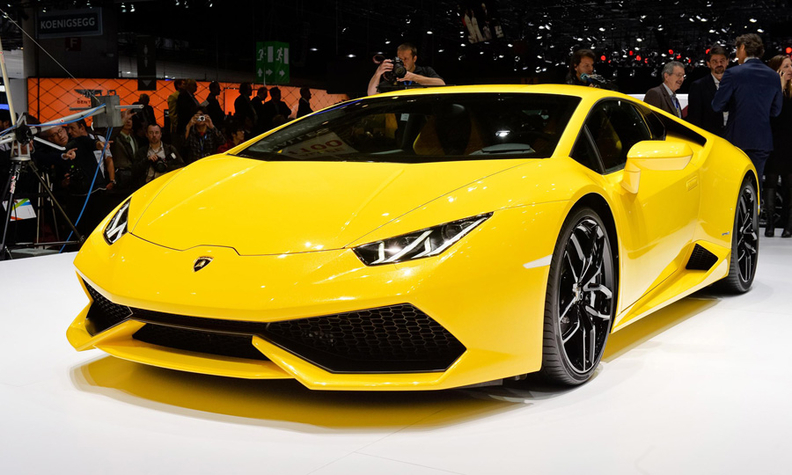 The Huracan made its world debut in Geneva. European and U.S. deliveries will start in the second half. The Huracan's European starting price is 169,500 euros while the U.S. base price is $237,000, both prices exclude taxes. Winkelmann said Lamborghini has already sold more than 1,000 units of the Huracan, which has a 601-hp naturally aspirated V-10 that propels it from 0 to 100kph in 3.2 seconds. The supercar's top speed is more than 325kph. By comparison, the Lamborghini Gallardo LP 570-4 Squadra Corse that debuted at last year's Frankfurt auto show goes 0 to 100kph in 3.4 seconds and has a top speed of 320kph. The Huracan, which means hurricane in English, gets its name from a breed of Spanish bulls that fought in the late 1900s.